I spent Saturday, with my friend, at the Tucson Botanical Garden for a little class called, “Found Objects as Garden Art”. The teacher was an older man who has spent most of his life collecting old, thrown away or lost objects and then making them into things for his house and garden. He said he loved thinking about the story behind his found objects, who owned it, what is was used for. He was very inspiring. We got to make beaded horseshoes in class. 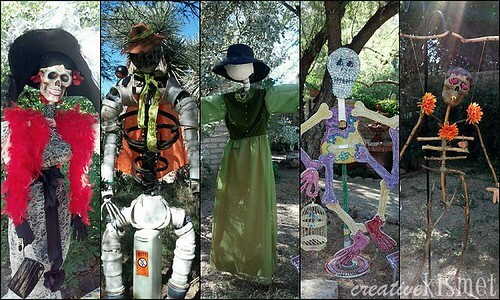 The garden is also celebrating Day of the Dead this month and has a several skeletons dancing through out the garden. 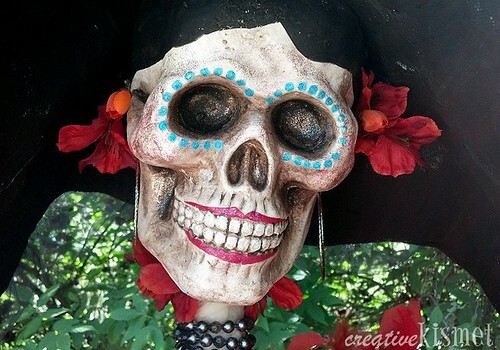 Each skeleton was made by a local artist. 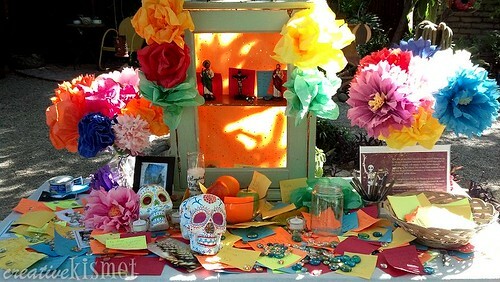 It was the perfect weather to be walking around enjoying the decorations and ofrenda table (offerings for the dearly departed). I love Tucson during this time of the year when the weather is finally nice and the city is bustling with activity. I hope you had a nice weekend too! This entry was posted in Misc stuff, Spooky. Bookmark the permalink. Really love the beaded horseshoes that you made. what a neat idea! these are really creative. 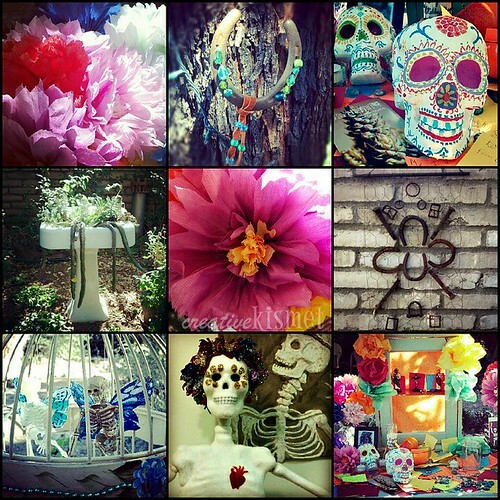 you have done an amazing job and really captured the essence of the day of the dead.